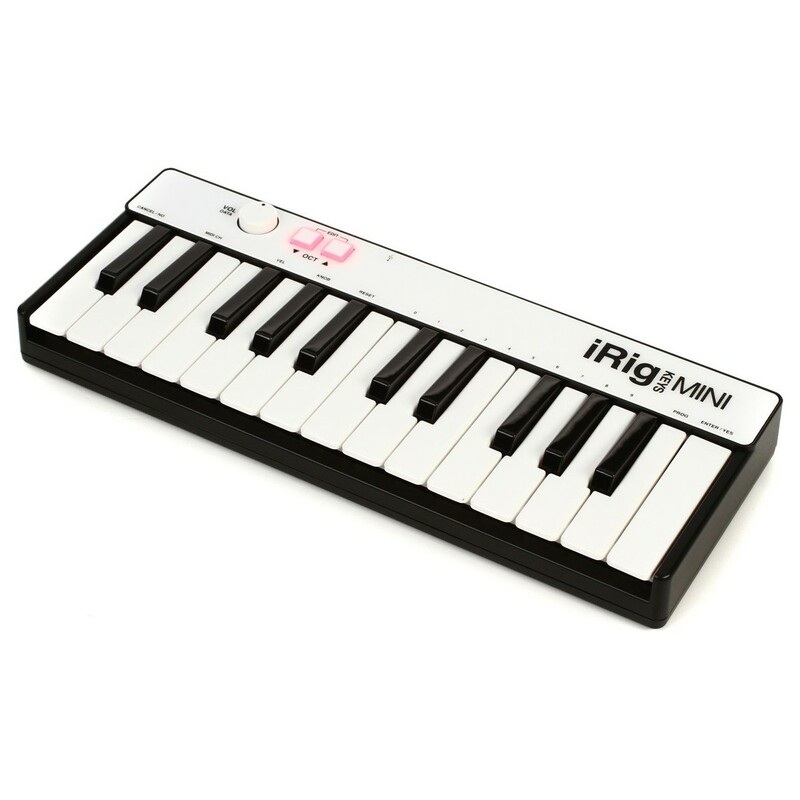 The IK Multimedia iRig Mini Keys has been made with portability and versatility in mind, featuring a compact size that's small enough to easily fit into your laptop/gig bag or backpack, and 25 velocity sensitive mini-keys that provide a generous 2 octave range (Plus 1 note). 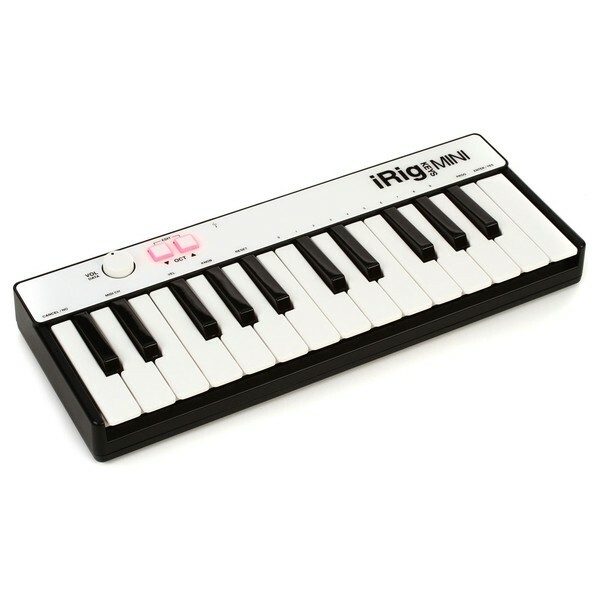 The iRig Mini Keys comes supplied with a USB cable and is class compliant with both MIDI and USB, allowing you to plug it into your iOS or Android device (Additional adapters required), or Mac/PC and start jamming straight away. 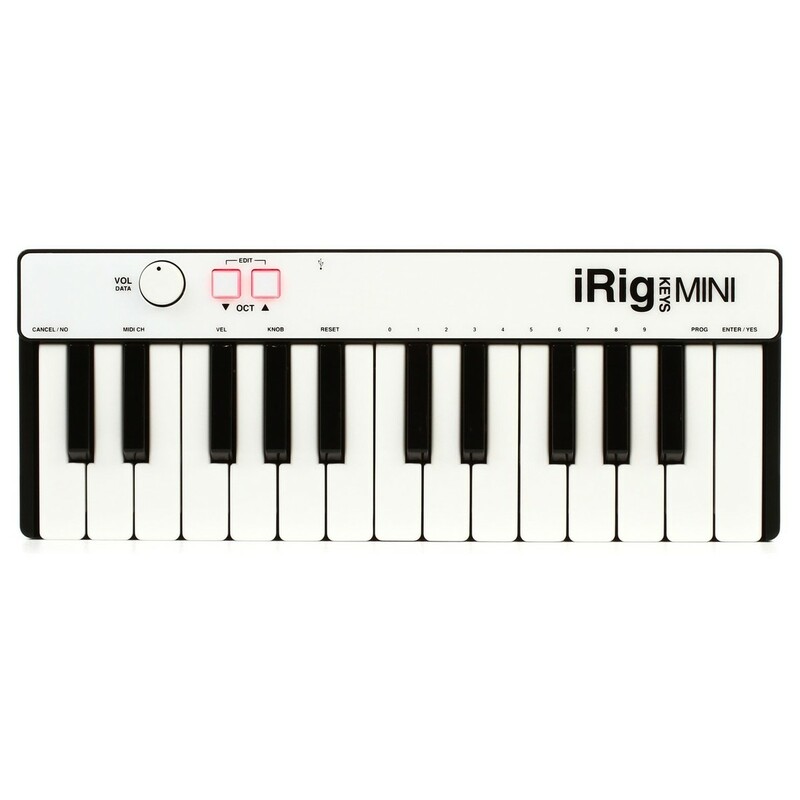 Complete with an incredible suite of powerful software from IK Multimedia, the iRig Mini Keys is ideal for both spontaneous and live performances. 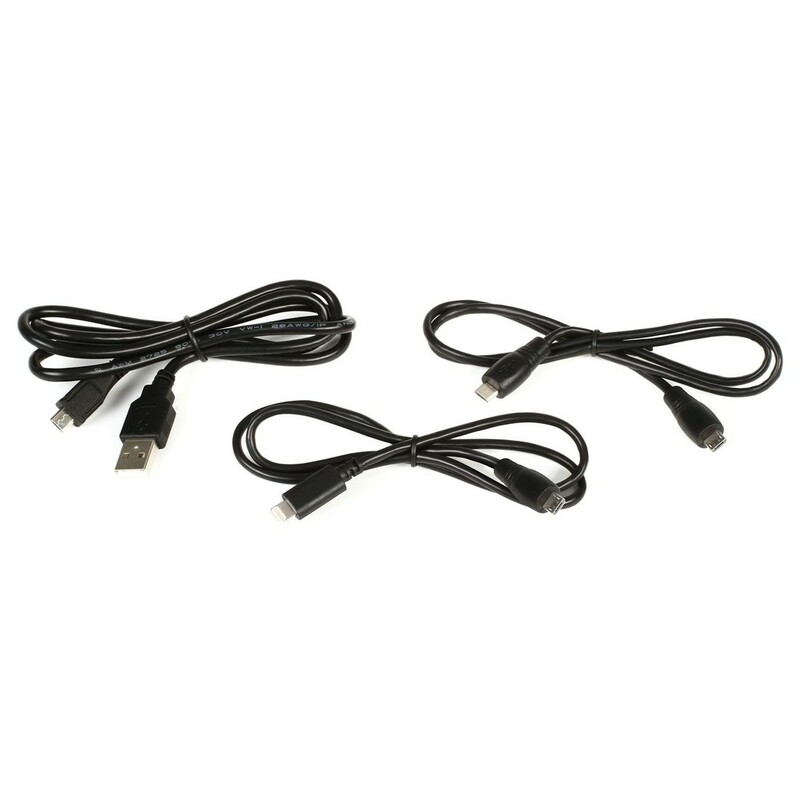 The iRig Keys has been made with mobility in mind, boasting the ability to run off the power provided from the USB port of the connected Mac/PC, iOS or Android device. The small footprint of the 25 mini-keys paired with a lightweight housing, creates an USB MIDI keyboard controller that offers an unbeatable combination of compactness, convenience and functionality. To get you started straight away, the iRig comes complete with a powerful array of software. This software can be downloaded and played with immediately, providing you with a true plug-and-play experience straight out of the box. When you register your iRig Mini Keys, you'll also get a bundle of free instrument collections that can be used expand the creative possibilities even further. Also included is The Grid, a collection of cutting-edge electronic construction kit and drum kit sounds, as well as 5 instrument collections of your choice from IK Multimedia's Beats and Elektronika music series. SampleTank 3 SE is a special version of the ultimate sound and groove workstation for Mac/PC that features an expandable 6.5GB sample library that includes instrument categories that cover everything from acoustic to electric and beyond. This software has the ability to work as a stand-alone program or as a plug-in for all major DAWs such as GarageBand, Logic, Pro Tools, Cubase and more.